This little fox is so cute and cuddly you might want to keep her close-by when needing a hug. From the top of her head to the tip of her tail, this little fox is easy to make using this simple pattern. Here are downloadable pattern pieces that can be printed out. This doll pattern has lots of step by step photos that help make it even easier to sew. The doll's top and skirt are included in this pattern. 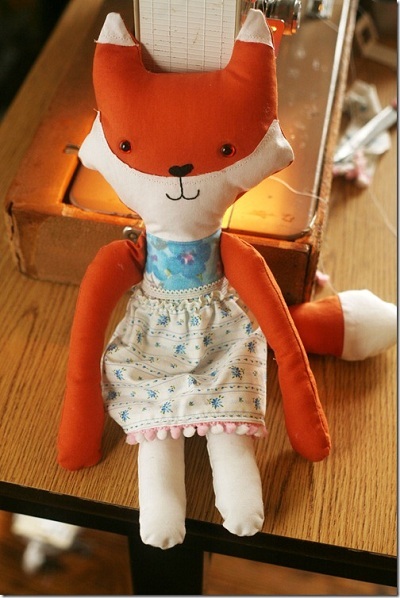 No matter if you are a beginner or seasoned seamstress this pattern makes sewing this fox a breeze.